I am really pleased that so many people read my blog. And that many questions are asked in the comments. Unfortunately I do not have the time to answer all the questions, my schedule on the ISS is just too busy. Every now and again I will try to answer some questions. Here are the first five answers. Thank you to all who sent in questions! I have constant back pain. 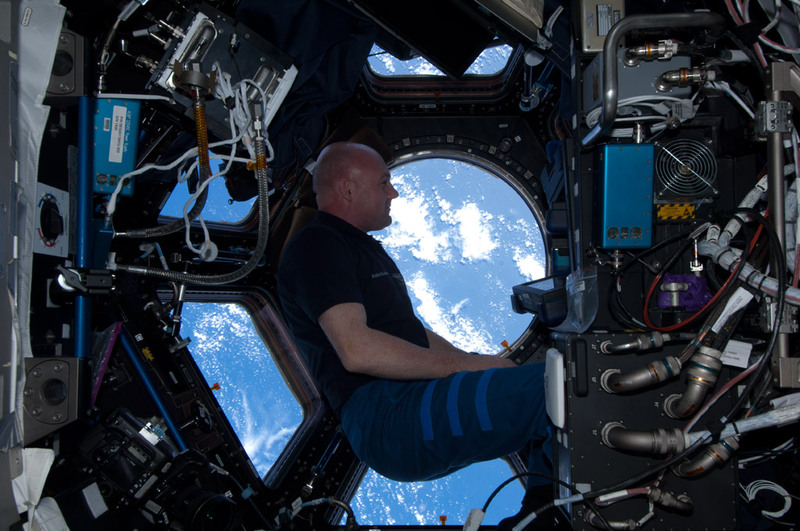 Does floating in space alleviate back pain? (Willy Huizing) I do not know if this specific pain is alleviated in space. I do know that astronauts can get back pains, just as people on Earth. I had some pain after training on our ARED fitness machine. My position was probably not correct and the pain occurred. Space between the spinal vertebrae increases in microgravity. 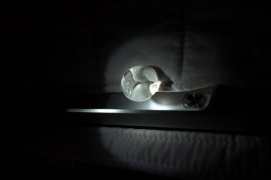 Some astronauts report that back pain is increased instead of feeling more relaxed. It helps to sleep in a foetal position in these cases. We have special straps that we use to sleep in this position. One of the nicest things that we can see from the ISS is the reflection of the Moon on water. 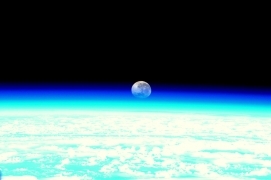 The Moon sometimes shines very beautifully on the ISS as well. We cannot always see the Moon itself as our windows are pointing down and to the side. It is not easy to take good photos of the Moon and the stars at night because the Moon is so clear. The chance of us catching a virus is very small. Astronauts are fit with good immune systems. This helps. We try to avoid physical contact with people before launch such as shaking hands. Astronauts even undergo quarantine. Of course it is possible to take a virus with us to space. Or a virus might arrive from an infected person that packed a cargo ship. We try to avoid viruses as much as possible but the system is not airtight. Luckily we have been in top shape on this mission so far. Water tastes the same. There is no bad taste, at most the straw through which we drink adds some flavour. We do not drink the water thinking of recycled urine… Water on the Space Station is not cooled as it is on Earth. So a glass of fresh water with ice cubes is something I am definitely looking forward to. That is a long story. We have air here just as on Earth. We breathe the oxygen in the air. We expel CO2 in the ISS modules. This is filtered by ‘scrubbers’, otherwise we would have problems breathing. The CO2 can be shot out to space or recycled to make water for example. Oxygen is brought up by cargo ships such as ATV and Progress. We also have a back-up system that can make oxygen by chemical reaction. This system was used when a Shuttle came to the ISS with a large crew, or could be used in an emergency. A third way to get oxygen is by creating it from water. We can separate oxygen and hydrogen with electricity. The hydrogen is sent into space or recycled just as the CO2 is. The oxygen is pumped around ISS. Aside from air we also need to ventilate. Everything floats up here so no convection takes place as on Earth. Convection is a process whereby warm air automatically circulates up and cold air down. We need to artificially get the process going. We need to cool our equipment (and ourselves) but we also need to avoid pockets of CO2. If too much CO2 and too little oxygen accumulates in the air astronauts can have trouble breathing. The ventilation is always turned on in my sleeping cabin. Even when I sleep. This entry was posted in logboek and tagged luchtsysteem, maan, rugpijn, vragen, water, zweven. Bookmark the permalink. Kun je op 11 mei ‘s morgens vroeg mij even de groeten doen vanuit de ruimte? ?